Elderly people rarely maintain an upright posture even when walking. The normal bed makes it very uncomfortable. Remember that at this age, they become very vulnerable to back pain. Some of them even become bent already and so to attain their comfort, there is a need for the best adjustable beds. Choosing such an adjustable bed is not easy especially when you do not understand what you are supposed to be looking at. This buying guide helps and prepares you to be in a better position to make the best choice. The choice is directly affected by your knowledge of what you want. Most mattress suppliers will tell you that any mattress can be compatible with adjustable beds. Whether it is a memory foam mattress, latex or air mattress, it can always fit your adjustable bed. This sounds true but on the exception that the mattress is not fitted with an innerspring. Such mattresses contain a very rigid border and so it might be difficult for them to keep bending whenever you adjust the bed. Normally, each mattress will react in a completely different way when folded on the adjustable bed frame. Some will get destroyed while others will be bent poorly to interfere with comfort. Before buying an adjustable bed to an elderly person, first, choose a mattress like Leggett and Platt which will fit that bed. Otherwise, you will end up buying a bed then no mattress will fit on it. Maybe you are wondering why you should settle on the mattress before you settle for the bed. The reason for this is so that you can be sure that the mattress will bend and fold well before you can finally buy the bed. This guarantees you the peace of mind that you will have some contort. If you go for the bed first, you might end up doing a thorough search for the right mattress but which you may not find. The essence here is that it is the mattress which should determine the bed and not the bed determining the mattress. Nobody should forget about the features of an adjustable bed when buying it for any elderly. This should actually the priority in the factors that one should be choosing. In other words, your money should not go to waste by buying a bed which has a limitation in the features. Well, not all the features will be of essence to you but it is better to have them. They might be of the essence with time. One of the key features should be a programmable memory setting. This will help you to adjust the bed automatically without having to use much energy. 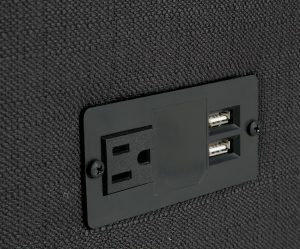 Another feature should be USB ports. Two or more of such ports are important but one can still work. The bed is for the elderly person who needs proper nursing or even just a sense of comfort. Through the USB ports, you can offer some cool music to the old man or woman so that he does not feel lonely. Well, this can be considered as an option. The bed should also have a foot and a head elevation. If the person who is going to use the bed is extremely old, you might have to really check on this. This is what is used to lift the head or the foot to offer more comfort to the user. 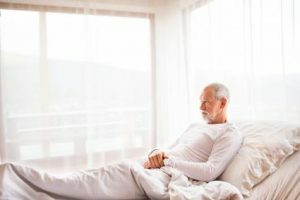 In the instances where the use spends like most of his or her time on the bed, the elevation should be effective so that at any given time, the needed adjustment on the bed can be made to offer more comfort. Additionally, the bed should come with an independent massage motor. The old person using the bed will definitely need some occasional massage. This is the essence of such motors. If there is anything that you should not deny an older person is massage. Due to limited movement, the body gets fatigue very fast. Some exercise is needed by which cannot be attained physically. The option for a physical exercise is the regular massage. This is why the massage motors should be part of the adjustable bed you finally choose. The bed can also have a simple to use wireless remote for automatic adjustment. If you realize that most of the above features are not part of the adjustable bed you are buying, then you should know that the bed in question is not the best for you. You can do more windows shopping to come up with the best option. Nearly all the adjustable beds come with a warranty. Most of the manufacturers offer a warranty of about ten to twenty years. However, you can get some unique cases whereby the manufacturer talks about a lifetime warranty. Before you get amazed at such offers, you need to understand what is provided for in each warranty. The best option that your supplier should talk about is free technical support and on-site labor for a given period of time say one year. Such a warranty can provide you with some peace of mind since one year are enough for you to learn and also train others on how to handle the bed. Do not accept any warranty which is not well explained. You might end up not enjoying any after sale service hence you might end up hiring for the services which you ought to have enjoyed based on the cost you paid. It is recommended that you go for a pre-built adjustable bed base. Actually, adjustable beds exist in many forms. There are some that you will have to put their frames together alone so that you can use them. These ones look like traditional hospital beds. There are also some stylish beds which you can be designed to fit your need. All the same, what matters is that the frames should be pre-built. This means that you will not spend time fixing one metal after another in an attempt to assemble the bed frames. In fact, most reputable many factories will deliver the bed to your doorstep in its ready to use condition. If you can get such, it will be better for you. If you are not able to get the pre-built frames and base, then you might have to settle for what is available. If anything, it is only set once and for all. Talking about the durability, you should be thinking about the material used in making the frames. Some manufacturers use aluminum metal while a good number use steel metal. The one made out of steel is very strong and rarely do they rust. This makes them more durable than those of other materials. The more durable once are more expensive but you will realize that they are worth their prices. These beds are generally more expensive than ordinary beds. This means that it is not practiced to keep buying a different bed every year. Remember that issues like rust are not covered on the warranty as they are considered as carelessness of the user. It is hence better to buy a durable adjustable bed and forget about that need. Generally, adjustable beds for the elderly are more expensive than ordinary beds. However, out of them, you might get a manufacturer who is relatively cheap. All you need to check should be the features of the bed. However, you do not need to have all the features in that bed. While buying, do not get to a price which is too high beyond your budget. As much as you might want to gift an elderly person with such a gift, you got to cut your court according to your size. You should not close your bank account simply because you are gifting someone such a bed. Not always do expensive things come out as the best. Therefore, buy what you can afford comfortably. Setting up the adjustable bed once you buy it can be some other hell on earth. Some of the beds are easy to set while others need a high level of expertise. Therefore, you should check at the general set up time before you decide to buy it. If possible, you should go for a bed which has its motors already attached to its base so that you just screw the legs onto the base and plug in the coded cables. This does not spend much of your time. It can also be done without having to hire an expert to fix everything in place for you.